As of today, five dogs have died and more than 1,000 have been sickened with a rare strain of canine influenza. According to ABC News, the Chicago-based outbreak has reached epidemic proportions, with additional cases reaching into Wisconsin and Indiana. Officials believe this outbreak of canine influenza — also known as dog flu — has the potential to snake throughout the Midwest and beyond. Although dog flu is rarely fatal, the Centers for Disease Control reports it can still cause fever, fatigue and respiratory distress in affected animals. The disease spreads easily through respiratory secretions or contact with contaminated objects, so the best way to avoid transmission is by avoiding other dogs altogether. So how can you avoid the dog flu and still give your pup the exercise he or she needs? Consider the following activities with minimal risks for contracting canine influenza, particularly if you live in a hard-hit corner of the country. The trick is to avoid contact with other animals and their belongings, so get creative rather than contracting cabin fever. Instead of just playing fetch, challenge your pooch to a footrace. Whether you’re inside the house or in the backyard, toss a ball or stick, and race your dog to see who can grab it first. Set up a kiddie pool in the backyard, and allow your pup to go for an energetic plunge. Early in the morning, head to the local park. No, not a dog park, since you’ll need to avoid public settings where dogs play in groups. Instead, use playground equipment as a challenge for your dog’s agility. By going very early in the morning, you’ll avoid children and families. Build an indoor obstacle course for your dog. You can use benches, pillows, chairs and boxes to challenge your dog’s agility in the hallway or living room. Just hide a treat in the obstacle course to pique his or her interest. 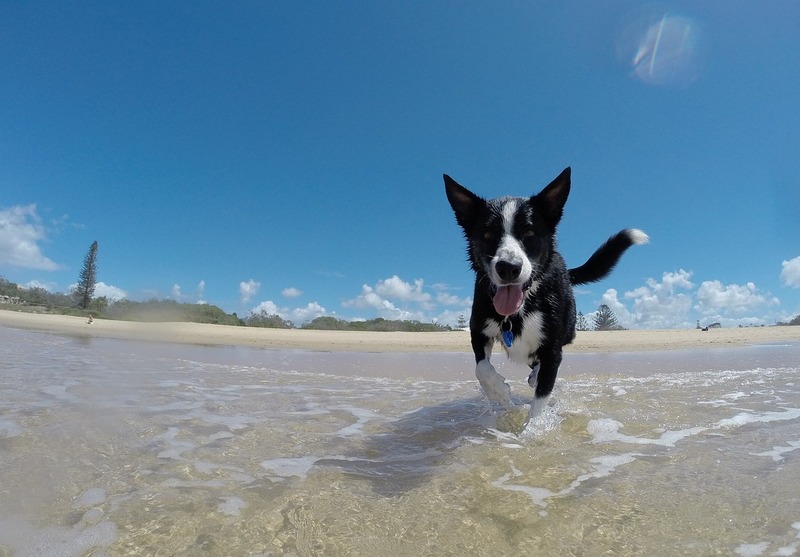 When it comes to exercise, mental activities are super important for your furry friend. Challenge your dog’s sense of smell by laying a scent trail throughout the house. Place tiny pieces of a treat along the floor in a path to a big treat. Your dog will feel thrilled by the chase and exhausted to boot. Head to an outdoor staircase, and run up and down the stairs together five to 10 times. Doing so will wear both of you out quickly. Here’s an activity the whole family can get behind. Take turns hiding in various corners of the house with a treat in hand, and then call for your pup to find the hiding family member. You’ll engage your dog’s sense of smell, physical prowess and need for companionship in one simple activity. Still concerned about dog flu? Talk to your vet, and consider whether a canine influenza vaccine is right for your four-legged friend.